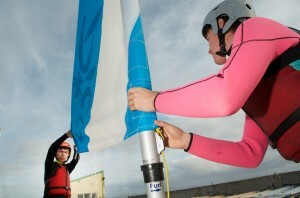 During this course you will learn to sail on your own in light winds. There will be a total of 6 students in your class. Students will be given tuition on all aspects of the Irish Sailing Association’s ‘Start Sailing’ and ‘Basic Skills’ syllabi. As many modules as possible of each scheme will be covered. Log books will be signed and if completed certificates will be presented to the student at the end of the course. This course is run through the medium of Gaeilge, therefore, all participants are expected to have a level of Irish. Students will not attend Irish Classes on this course.